It seems like once the New Year’s rolls around everyone’s mind’s shifts from “winter mode” into “spring mode”. All the stores start to receive their spring collections, which completely throws me off and gets me way too excited for spring. When in reality we’re only about half way through winter! It doesn’t exactly snow here in Raleigh, but it definitely gets chilly in the mornings! 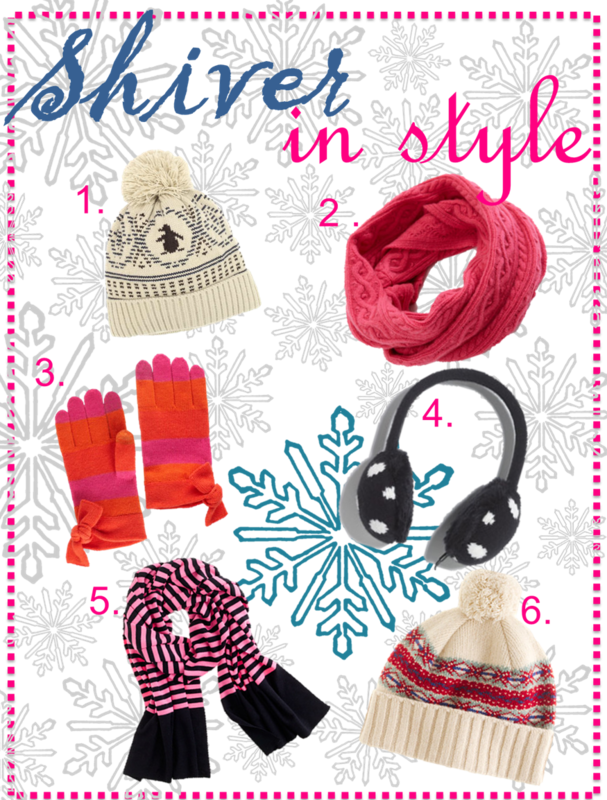 I think the cold weather is such a fun excuse to buy adorable hats, scarfs, mittens, and don’t forget the ear muffs! 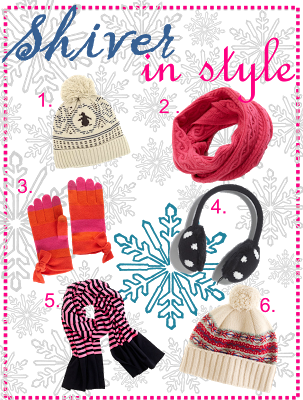 These are a few of my favorite winter essentials from this season! These pieces are such a fun way to spice up an outfit in the cold, dark, winter months. I mean how could not be happy with cute polka dot ear muffs on?! 1. This hat is from one of my favorite stores, Tuckernuck! It’s a classic hat that can go with almost any outfit. The penguin is such a cute addition to the hat too! I can imagine myself wearing this hat with a big chunky sweater, jeans, and bean boots! 2. Infinity Scarfs are definitely big this year. They are a perfect addition to any winter outfit. They serve double duty too, by keeping you warm and spicing up outfits! 3.These Kate Spade gloves I’ve been dying for since they came out. They’re also on sale right now, bonus! They are tech gloves, so they are perfect for texting. I always get super frustrated when I’m standing in the freezing cold and desperately trying to send a text and I’m forced to take off my gloves just to send a message! I think I just convinced myself to buy splurge on them! 4.Just looking at these earmuffs makes me happy. On top of the fun black and white polka dots, they also serve as head phones! Perfect for waiting in the cold for the bus or simply walking in-between classes! 5.I own this scarf and I absolutely love it! It’s pretty thick so it really keeps me warm. You can check out what I wore it with in my OOTD’s. You can’t go wrong with the pink and navy combo either, I mean could it get more preppy than that? 6.I thought this hat was so perfect in every way. I basically love everything Fair Isle and this hat fits perfectly into this category! It would be super fun with a red bright sweater or jacket. What cute winter accessories keep you warm in the cold winter months?